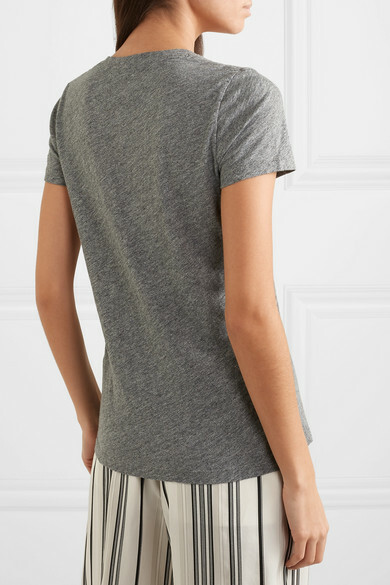 Madewell's 'Whisper' tee is one of the label's best-selling basics because it goes with pretty much everything, especially denim. 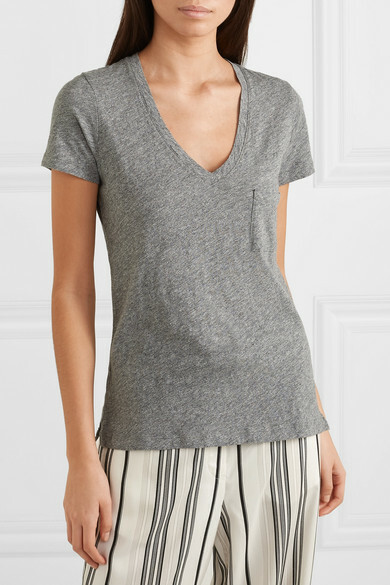 Cut for a slightly loose fit, this V-neck style is made from soft and airy slub cotton-jersey that's naturally stretchy. The mottled gray hue works particularly well with neutrals and army-green. 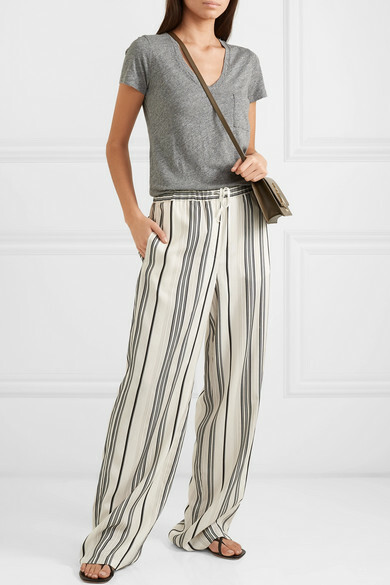 Shown here with: Jil Sander Pants, JW Anderson Shoulder bag, Rosetta Getty Sandals.